Modern luxury hous at Alenda Golf, with nice views, 15 minutes from the city of Alicante, from the airport. And from the sea. Jacuzzi and community pool. 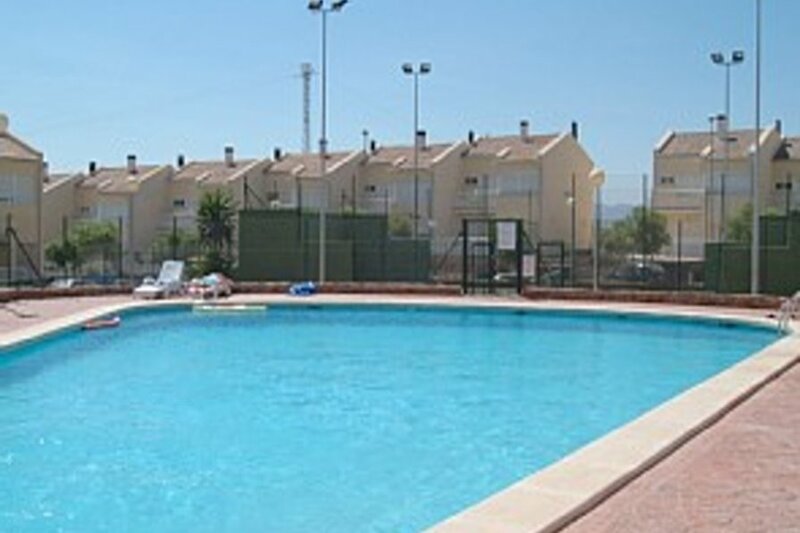 Modern luxury houses at Alenda Golf, with terraces and very nice views, only 15 minutes from the city of Alicante, from the airport and the beaches. Altavista is situated in a very nice quiet area, but with everything at hand within 15 minutes by car. Golf club with restaurant , bar and supermarked 500m, shops and other facilities are only a short drive away. Typical Spanish cities like Aspe, Novelda, Monforte del Cid only 5 min., and Alicante and Elche 15 min. Golf and Rent-a-car at discounted prices! Trolleys and golf clubs available. Situated on the second floor are the 3 bedrooms, one with a ensuite bathroom and 2 beds, the bathroom normally has a bide, a shower or bath. The 2 other bedrooms having 2 beds and sharing the other bathroom with shower/bath and toilet. There is an extra toilet downstairs for those attending guests. The kitchen is fully equipped including a dishwasher, microwave, oven fridge, etc. The living room has a dining area, and a living room with TV, Stereo etc., and sliding doors to the outside terraces with garden furniture for those nice hot evenings.